Book reviews are one of my favourite types of posts here at Teacher Types! Books are such an important part of childhood and if I can introduce you to a new book, or give you some activity ideas based on a brilliant book - well then I'm going to do just that. 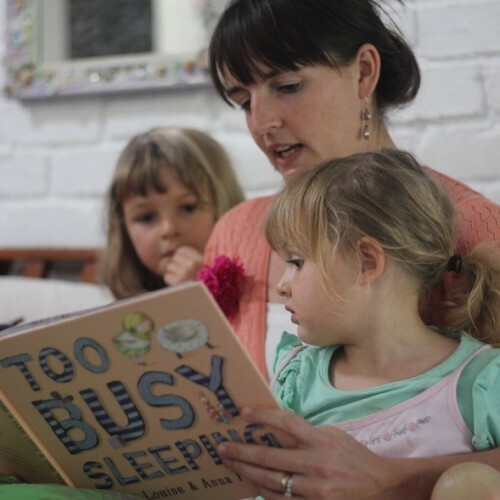 You may remember Zanni Louise, author of Too Busy Sleeping (which I reviewed back in 2015 before Little Man's arrival and it's still a favourite in this house). 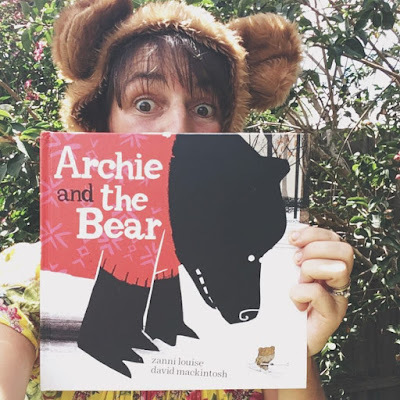 I was so excited to hear that Zanni's new book Archie and the Bear was going on a blog tour and of course I put my hand up! Kindly gifted for the purpose of this review. Archie and the Bear at it's core, is a story about identity. It's about being who you are, being true to yourself, no matter what the rest of the world tells you. It's about the friends you meet in unexpected places who have a lot more in common with you than you may think. Little Archie has quite the determined, strong-willed and brave personality. He insists that he is in fact a bear, and is not just wearing a costume. He sets off into the woods where he meets a bear, wearing a jumper, who insists that he is a boy, and the story goes on from there. The two become friends, because they understand each other, and listen to each other when no one else would. The illustrations by David Mackintosh are captivating, textured and detailed. Compared to the big forest and the huge bear, Archie is depicted as very tiny, enhancing his feelings portrayed in the story. He has used multimedia illustration techniques such as cut outs, collage, pencil, watercolour, crayon and silhouettes. Ask your child or class to come up with their own different identity. Get a costume, prop or just pretend! Draw self portraits of what you see in the mirror, side by side with your make-believe identity! Make honey sandwiches for you and your teddy bears to have a picnic together. Use a warm quilt as a picnic rug and even make a pretend fire using sticks and cellophane. Try doing some of your own cut out silhouette pictures using background colours to depict the time of day and/or temperature, just like in the book. 1. Tea or coffee (or neither) ? Coffee… I was a barista for many years, and have a professional coffee machine at home, so a day does not start until I have had my flat white with leaf pattern in a beautiful Anthropology cup. I do love tea too. Rooibos Chai please. 2. Favourite book when you were a child? So hard to pick, but I loved The Secret Garden, and Allison Lester’s ‘Clive Eats Alligators’. Oh, and Winnie the Pooh. 3. Favourite movie when you were a child? I think it was Milo and Otis. My brother used to watch it on repeat, so I think I saw it more than I saw any other movie. It changed. A lawyer. A dancer. An artist. An actor. I don’t remember planning to be a writer, but I wrote my life story at 6. It’s about 10 pages long, and considering I hadn’t lived a lot back then, had a surprising amount of detail. Monte Isola in Lake Iseo, Italy. I would also love to visit a Pacific Island one day. 7. Where in Australia do you call home? Early bird, though I love nights for telly. And am surprisingly creative at night. 9. What are your kids into right now? Telling themselves stories. Harry Potter. Cats. Looking after chickens. 10. Best thing about being a children's author? The community. Writing something positive, humorous and heartfelt. Connecting with children. 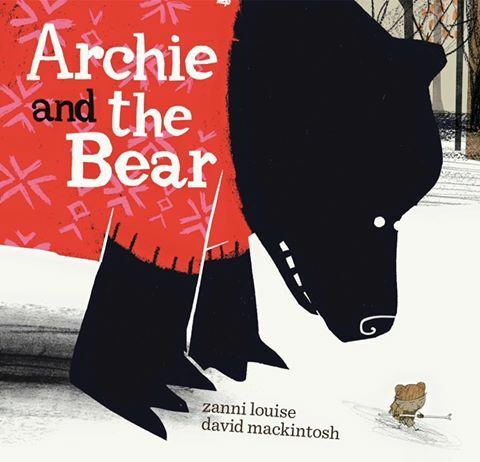 Congratulations Zanni for having your second children's book published! I just love your writing style and the stories you tell. Get your copy of Archie and the Bear here, and Too Busy Sleeping here.